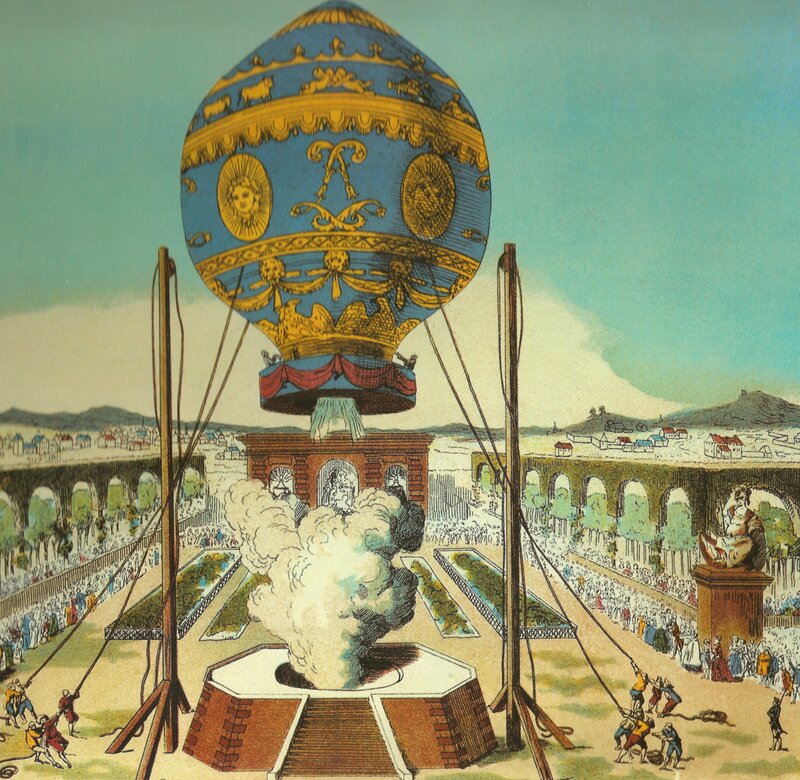 1783 the Montgolfier brothers demonstrate their hot-air balloon – Chinese lanterns are a great way of learning about hot-air balloons at home. Tonga Independence Day (from Britain, 1970): Tonga is Polynesian for ‘south’. The first Austronesian settlers, the Lapita people, arrived around 826 B.C. European explorers began arriving from 1616 when the Dutch first discovered the island. James Cook called it the Friendly Island because the chiefs welcomed him to their festivities (although biographers have later reckoned they still wanted to eat him). 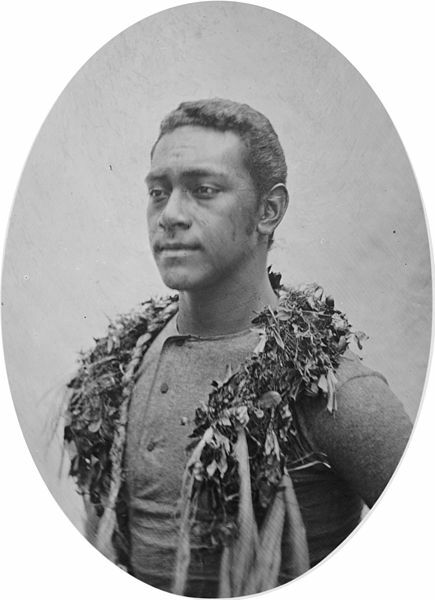 From 1845 the warrior Taufa-ahau decided that Tonga should have a constitutional monarchy like Britain. 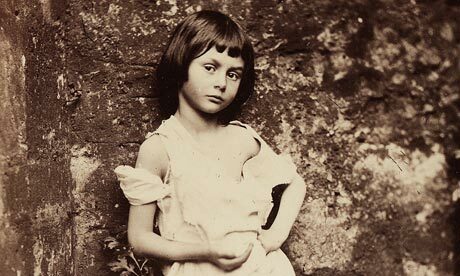 It became Britain’s ‘protected state’ in 1900, but was allowed to keep its monarchy, the only Pacific island to do so. In 1970 Tonga stopped being a protected state and joined the Commonwealth, still keeping its own monarchy! Learn about tapa making and have a go at weaving. 1871 the National Association, the first pro baseball league, starts playing – so play baseball! 1972 Greenpeace named – so get environmental! 1655 Bartolomeo Cristofori, inventor of the piano, born – so get playing! Japan Greenery Day – the blog above is so cute. Vermont founded 1791, famous for Ben & Jerry’s ice cream – so invent your own ice cream flavour. 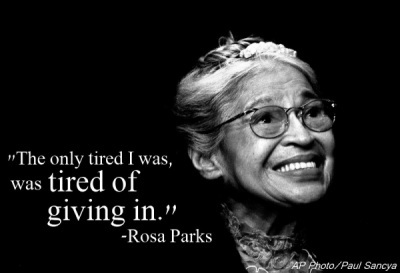 Rosa Parks Day – talk about standing up for yourself, standing up for others. Sri Lanka used to be called Ceylon when it was a British colony. There have been humans here for perhaps 500,000 years. The original inhabitants are probably the ancestors of the Vedda people, who live in modern Sri Lanka and are animists who worship the dead. It is thought it was once connected to India by a natural limestone bridge, which is still visible underwater today. In 250 BC Buddhism arrived. The Jaya Sri Maha Bodhi tree, believed to be a sapling of the tree Buddha meditated under, is the oldest planted tree in the world. Their reservoirs, aqueducts, giant statues of Buddha and palaces such as the ‘Fortress in the Sky’ are impressive structures from this ancient time. It was the first country in the world to have a hospital, and was the ancient world’s largest exporter of cinnamon. They were invaded by various parts of South Asia a lot. Parākramabāhu the Great (AD 1153–1186) built 1,470 reservoirs, the most any ruler has built ever, but Kalinga Magha, a Southern Indian, invaded in 1215 and destroyed and looted everything he could find. In 1517 the Portuguese built a port fort in Colombo and gradually took over the kingdom. In 1619 the king signed a treaty with the Dutch East India Co. to get rid of the Portuguese, but the Dutch violated the treaty and stayed in the areas they won back for Sri Lanka. People descended from a mix of Sri Lankans and these European colonists are called Burghers. 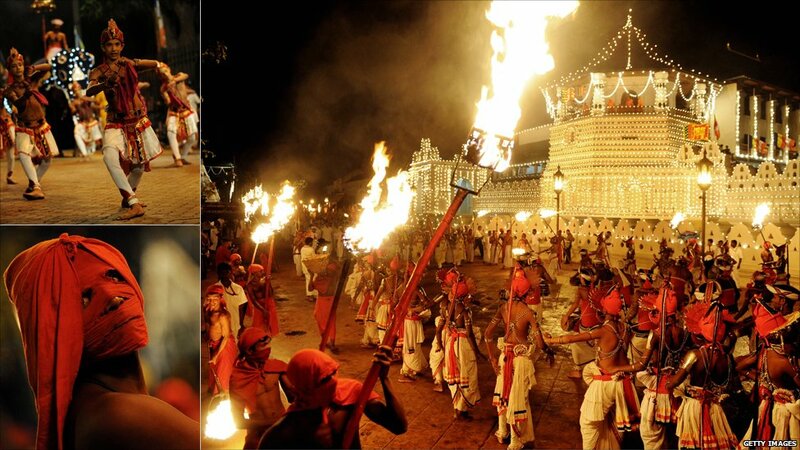 The Kingdom of Kandy (great name) was the last independent monarchy, during which the Temple of the Tooth was built, containing one of Buddha’s teeth. During the Napoleonic wars, France owned the Netherlands and Britain was worried the Dutch would give Sri Lanka to France, and they wanted it too. In 1815 we took the whole country. The Brits made coffee the main export; it declined, and the governor increased taxes and made everyone work 6 days building roads for free to make up the difference, which made the natives a bit cross. Then a disease wiped out the coffee plants anyway, so the Brits switched to tea-growing, and later rubber. In 1931 Sri Lanka became the first South Asian democracy, and the first non-white country in the European empires to have a one-man, one-vote system. Ceylon became independent in 1948. Because we’d artificially grouped the whole country under one parliament, whereas before it had been separate kingdoms, tensions grew between the Sinhala people and the Tamil minority, so there was a bit of a civil war for 26 years. Then in 1977 J.R. Jayawardene came to power and freed the markets, making Sri Lanka the first Asian country to step away from Chinese/Russian-inspired Communism. The Liberation Tigers of Tamil Ealam tried to create an independent state for the Tamil people; this failed and 150,000 Tamil people had to seek asylum abroad. In 2004 the tsunami hit Sri Lanka and killed 35,000 people. Animals endemic to Sri Lanka include the purple-faced langur (great insult). Try making wattalappam, or do a Kandyan dance. Russia is a super interesting country to learn about. Get to a map and see how many countries it shared borders with. It’s crazy. It’s the largest country in the world. In general Russia began as part Slavic, part Greek, part Huns, part Turkic, and a little bit of Finnish and Hungarian. 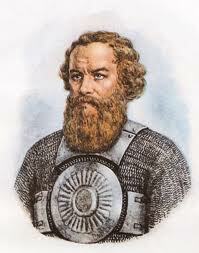 Some Scandinavian Vikings called the Varangians came over in the 9th century and conquered Kiev, which had previously been ruled by the Turkic nomads, and founded Kievan Rus’, which is where we now get the word ‘Russia’ from. 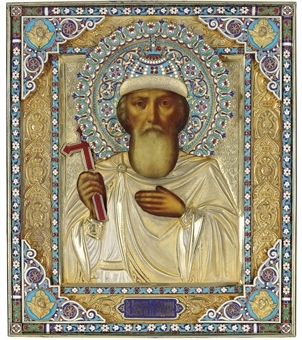 In the 10th to 11th centuries Kievan Rus’ became one of the largest and most prosperous states in Europe, especially under Vladimir the Great (980–1015) and his son Yaroslav the Wise (1019–1054), who introduced Orthodox Christianity from Byzantium and the created the country’s first written set of laws, the Russkaya Pravda. Then the Turkic tribes came in and pushed the Slavs north, and generally there was a lot of in-fighting. Ultimately Kievan Rus’ disintegrated, with the final blow being the Mongol invasion of 1237–40 that resulted in the city’s destruction and the deaths of about half its population. The invaders, later known as Tatars, formed the state of the Golden Horde, the north-west section of the Mongol Empire, which ruled/pillaged Russia for over two centuries. Russia was then split between the Polish-Lithuanian Commonwealth and the Mongolian Empire, and had to fight against Swedish invaders and Germanic Roman Catholic crusaders; these latter they defeated in the excitingly named Battle on the Ice, which was fought on a frozen river in 1242. Imagine trying to fight on ice in a full suit of amour. Ridiculous. Mongols and Tatars raided it constantly and that plus the beginning of the Little Ice Age meant food was scarce. On top of all that, the plague kept hitting them, but unlike Western Europeans, Russian people had banya, a wet steam bath, which meant they had better hygiene than we did and fewer died. 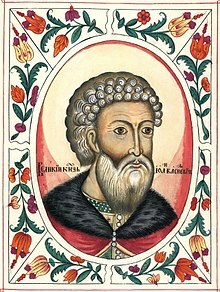 Ivan the Great finally threw off the control of the Golden Horde, consolidated the whole of Central and Northern Rus’ under Moscow’s dominion, and was the first to take the title “Grand Duke of all the Russias”. 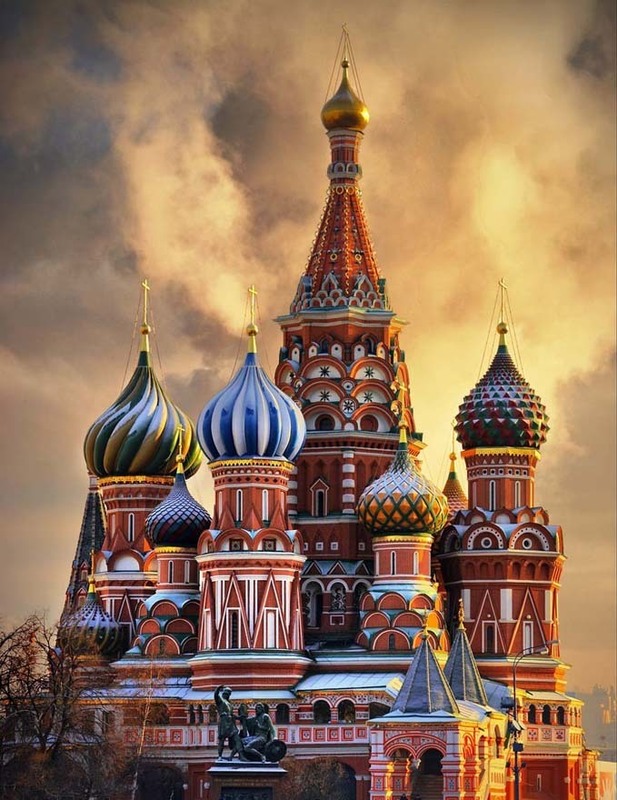 After the fall of Constantinople in 1453, Moscow became the new Eastern Roman Empire. Ivan married Sophia Palaiologina, the niece of the last Byzantine emperor Constantine XI, and made the Byzantine double-headed eagle his own, and eventually Russian, coat-of-arms. The Grand Duke Ivan the Terrible was officially crowned the first Tsar (“Caesar”) of Russia in 1547. 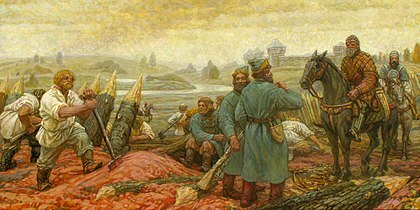 However, Russia then had to fight against a coalition of Poland, Lithuania, and Sweden because they all wanted access to the Baltic sea trade in the Livonian War, as well as against the Tatars of the Crimean Khanate, the successors to the Golden Horde, who kept raiding Southern Russia with the Ottomans, even burning down Moscow in 1571. But the next year Russians defeated them in the Battle of Molodi, and then built great fortifications like the Great Abatis Line, which along with the kremlins are a distinctive feature of Russia. The death of Ivan’s sons marked the end of the ancient Rurik Dynasty in 1598. The following famine and civil war is called the Time of Troubles. The Polish-Lithuanian Commonwealth occupied parts of Russia, including Moscow, until 1612, when two national heroes, merchant Kuzma Minin and Prince Dmitry Pozharsky, led a volunteer army against them. The 17th century was the age of Cossacks, military communities of pirates or explorers. They helped the peasants of Ukraine to rebel against Poland-Lithuania, and Ukraine then offered itself to Russia, which led to another Russo-Polish War (1654–1667) which ended in Ukraine being split between them along the Dnieper River. Cossacks hunting for fur and ivory colonised Siberia, and in 1648 Russian explorers crossed the Bering Strait for the first time. Under Peter the Great, Russia was proclaimed an Empire in 1721 and became recognised as a world power. Peter defeated Sweden in the Great Northern War, forcing it to cede some of its regions, securing Russia’s access to the Baltic sea trade. On the Baltic Sea Peter founded a new capital called Saint Petersburg, later known as Russia’s Window to Europe. Under Peter’s daughter Elizabeth’s rule, Russia participated in the Seven Years’ War (1756–63). During this conflict Russia annexed East Prussia for a while and even took Berlin. However, Peter III gave them back to Prussia. Catherine II (the Great) ushered in the Age of Russian Enlightenment and expanded Russia considerably. She took control of the Polish-Lithuanian Commonwealth during the Partitions of Poland, pushing the Russian frontier into Central Europe. In the south, Russo-Turkish Wars against the Ottoman Empire advanced Russia’s boundary to the Black Sea, defeating the Crimean Khanate. In the 1800s, Alexander I took Finland from Sweden, colonized Alaska and even founded settlements in California, like Fort Ross. In 1803–6 the first Russian circumnavigation was made. In 1820 a Russian expedition discovered the continent of Antarctica. Napoleon’s France invaded Russia in 1812, but Russia’s unshakeable army plus the icy winter killed off nearly the whole French army there. Russia’s army then drove right through to Paris and Alexander I went to the Congress of Vienna, which defined the new boundaries of post-Napoleonic Europe. The last Russian Emperor, Nicholas II (1894–1917), was unable to prevent the Russian Revolution of 1905, triggered by the unsuccessful Russo-Japanese War and by Bloody Sunday, in which a peaceful march towards his palace was gunned down by guards (embarrassing). 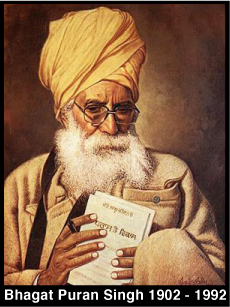 He then allowed freedom of speech and political parties. In 1914 Russia declared war on Austria-Hungary after it declared war on Russia’s ally Serbia. Isolated from France and Britain, its allies, the war was hard on the Russians and in 1917 another Russian Revolution forced Nicholas II to abdicate; he and his family were imprisoned and later executed during the Russian Civil War. The October Revolution, led by Bolshevik leader Vladimir Lenin, overthrew the Provisional Government and created the world’s first socialist state. Following the October Revolution, a civil war broke out between the anti-communist Whites and the new Soviet Red Army. Russia lost its Ukrainian, Polish, Baltic, and Finnish territories after World War I and the Allied powers supported the Whites. Both sides carried out deportations and executions, known as the Red Terror and the White Terror. Millions of anti-Communists fled, becoming White émigrés. The USSR formed in1922. Out of the 15 republics, the Russian SFSR was the largest in terms of size and had half the population, and so dominated the union for its entire 69-year history. 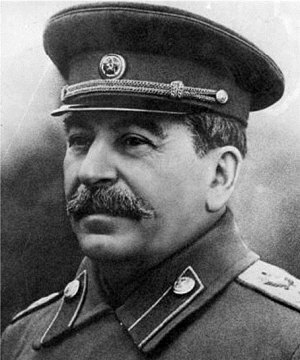 Following Lenin’s death in 1924, Joseph Stalin, an elected General Secretary of the Communist Party, managed to put down all opposition within the party and take power. 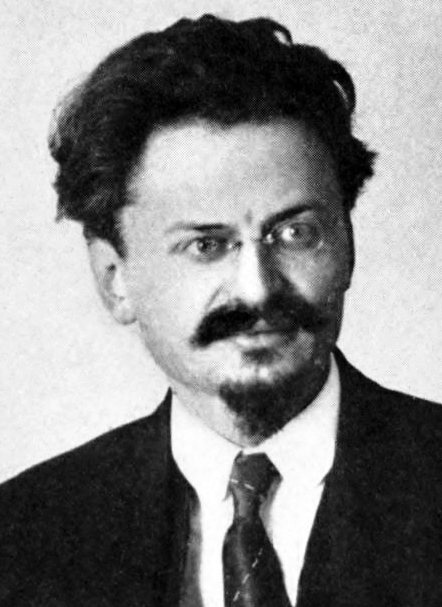 Leon Trotsky, who wanted a worldwide Communist revolution, was exiled from the Soviet Union in 1929, because he was distracting from Stalin’s idea of Socialism in One Country. The Great Purge followed in 1937–8, in which hundreds of thousands of people were executed for being even slightly against Stalin. Under Stalin’s leadership, the government launched a planned economy, industrialising the rural economy and ‘collectivizing’ its agriculture, where in the name of efficiency Stalin basically decided one place would grow all the potatoes, one place would grow all the corn, etc. So if you wanted to grow potatoes, you had to move to where potatoes were legally allowed to be grown. Full-on bonkers. Again, to suppress any naysayers, millions were sent to penal labor camps, deported or exiled. While Stalin was still trying to reorganise agriculture into neat blocks, a drought led to the Soviet famine of 1932–3, but ultimately the Soviet Union was transformed to a major industrial powerhouse in a short time. Britain and France’s attempt to appease Hitler while he took the Ruhr, Austria and Czechoslovakia meant that Nazi Germany grew large enough to make the Soviet Union nervous. When Germany allied with Japan, the USSR’s rival in the Far East, Russia decided to work around them, signing a non-aggression treaty with Germany, building up its military and invading a bit of Poland while no one was looking. In 1941, Nazi Germany broke the non-aggression treaty and invaded the Soviet Union with the largest and most powerful invasion force in human history. The Siege of Leningrad saw the city fully blockaded for three years by German and Finnish forces, suffering starvation and more than a million deaths, but never surrendering. The Battles of Moscow and Stalingrad, and the icy winters, stopped the Germany army, and Soviet forces drove through Eastern Europe to capture Berlin in May 1945. In August 1945 the Soviet Army ousted Japanese from China and North Korea, contributing to the allied victory over Japan. Basically, Russia won World War Two for us, even though Soviet military and civilian deaths were 10.6 million and 15.9 million respectively, accounting for about a third of all World War II casualties. The Red Army occupied Eastern Europe after the war, including East Germany. When the USSR became the world’s second nuclear weapons power, the Cold War against the USA and NATO began. It’s hard for the modern generation to imagine what it was like for youth in the 1960s-80s, who very reasonably believed the world was going to end in their lifetime in the most horrific way. After Stalin’s death, Nikita Khrushchev launched the policy of ‘de-Stalinization’. Many political prisoners were released and rehabilitated (many of them posthumously), and places named after Stalin were renamed. 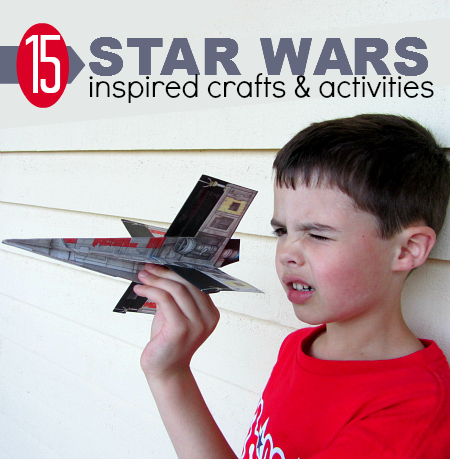 In 1957 the Soviet Union launched the first ever satellite, Sputnik 1, kicking off the Space Age. Russian cosmonaut Yuri Gagarin became the first human to orbit the Earth in 1961. In 1979, Afghanistan had a Communist revolution and invited Soviet forces in to help, but all they did was use up Afghanistan and Russia’s economic resources until literally everyone, other countries, Afghans and Soviets at home, got fed up with it. From 1985, the last Soviet leader Mikhail Gorbachev tried to liberalise Russia a bit, with policies of glasnost (openness) and perestroika (restructuring). Before 1991, the Soviet economy was the second largest in the world, but during its last years it was afflicted by food shortages, huge budget deficits and inflation. Despite the will expressed by the people, on 25 December 1991, the USSR was dissolved into 15 post-Soviet states. 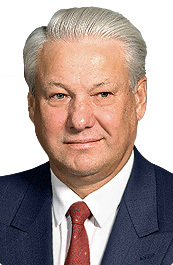 Boris Yeltsin was elected the President of Russia in June 1991, in the first direct presidential election in Russian history. Privatisation and liberalisation, encouraged by the US, only led to a major economic crisis. Many of the newly rich businesspeople took billions in cash and assets outside of the country. Russia took on the responsibility for settling the USSR’s external debts, even though its population made up just half of the population of the USSR at the time of its dissolution. Nearly half of the population lived in poverty in the 1990s, and the country became corrupt and violent. In 1999 Yeltsin resigned, and Vladimir Putin took over. Despite not being very democratic and not having a great human rights record, Putin’s leadership led to the return of order, stability, and progress and he is popular in Russia. We watched an Attenbrough clip on the brown bear and played a game I called Bear Fishing, where we pretended the living room was a stream full of salmon, and Baby dragged five silver paper fish on strings down the river and I was the big brown bear trying to catch them for my tea (this was followed by a rendition of Once I Caught a Fish Alive and then If You Go Down to the Woods Today, and a teddy bear’s picnic – phew!). We tried Russian dancing; listened to Tchaikovsky’s Nutcracker, Rachmaniniov and Shostakovich; arranged some Russian dolls from smallest to biggest; made a collage of St Basil’s cathedral; made a virgin White Russian cocktail (a chocolate milk with ice cubes); made stuffed cabbage leaves; pretended to go on a rocket ship into outer space; and invented a silly game called Fur Hunters, where you both put on as many jumpers as possible and then try to hit each other with spit-paper balls fired through empty biros – if you hit the other person you have to put their jumper (or fur) on – the winner is the one to collect all the ‘furs’. Calendale: In Provence, Christmas celebrations run from 4 December (St Barbara’s Day) to 2 February (Candlemas)! On St Barbara’s Day, it’s traditional in many countries to plant wheat seeds in wet cotton wool. If they grow well by Christmas Day, the next year will be a good harvest; if they’ve rotted, the next year will be a bad wet year for the harvest. On this day Provence people also put up their Christmas tree and their nativity sets, which contain every kind of person you can think of. Eid il-Burbara: In countries such as Lebanon, Syria, Jordan, Israel and Palestine, St Barbara’s Day is called Eid il-Burbara and is a lot like Hallow’en. Children dress up and people give them sweet foods, like Burbura or Lebanese St Barbara cookies. Thai Environment Day: What do your kids know about environmentally friendly behaviour, both in their own lives and on a global scale?